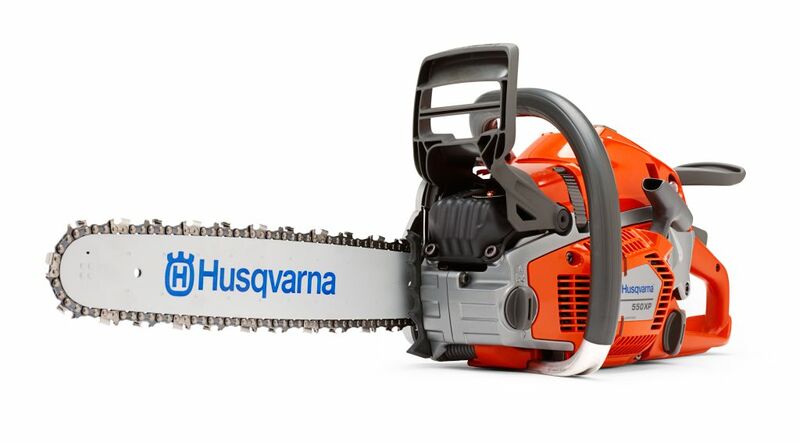 Husqvarna 550 XP is developed for professional loggers and skilled land owners. The saw has a ground breaking design and is loaded with innovative solutions for efficient, convenient operation. The unique X-Torq engine technology provide more power where you need it, up to 20% less fuel consumption and 75% less exhaust emission. RevBoostTM provide instant high chain speed for extra efficient de-limbing. Complete with 15" Guide bar and Chain. Other guide bar and chain sizes available, please select below. Reduces fuel consumption and emission levels and thus comply with the strictest environmental standards. Autotune ensures the engine always operates optimally by continuously adjusting the carburetor automatically. This function compensates for different fuels, altitude, humidity and temperature conditions as well as clogged air filters. Quick acceleration and higher chain speed for optimum limbing. Chain tensioned quickly and easily from the side. The air filter can easily be cleaned or replaced without tools.